Have you ever longed to have a week just for you? An opportunity to deeply explore your creativity without the pressures of daily life. 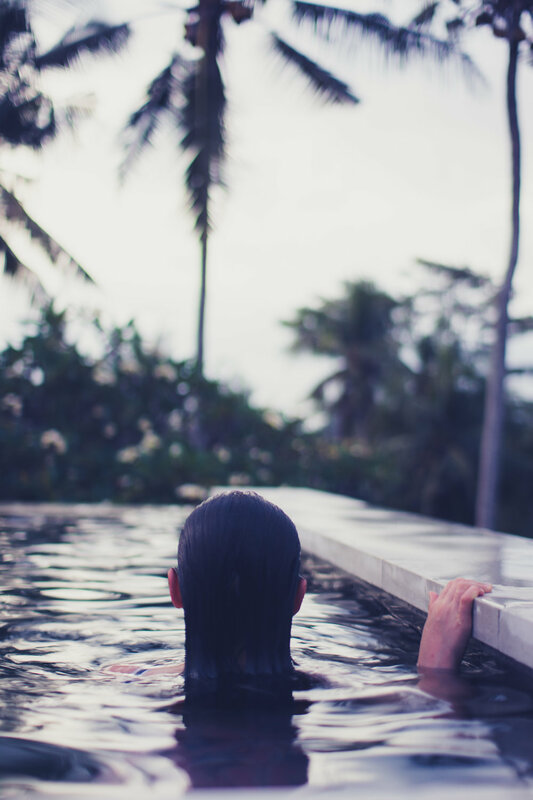 Imagine slowing right down and allowing Bali's tranquil energy to breathe new life into your creative process. Combine this with an in-depth abstract painting program and you have the ingredients for a transformational week. If this sounds like exactly what your creative spirit needs, read on for all the details. Applications for the retreat are now open. Welcome, we are so excited to bring this retreat to you! WE ARE ARTISTS is a culmination of our passion for painting, community and creative business. 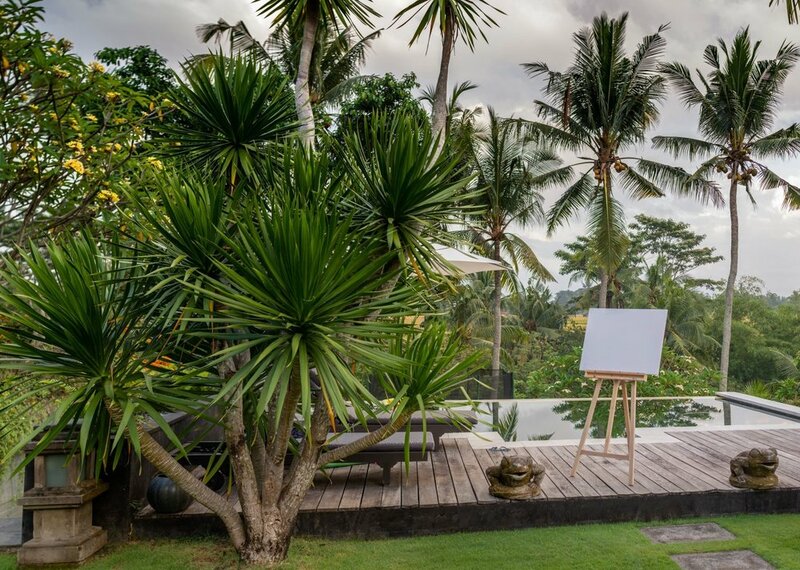 Drawing inspiration from Bali’s culture and landscape, together we will paint, connect and celebrate. We want you to leave our retreat feeling refreshed, invigorated and with the confidence to fully embrace your life as an artist. 7 nights and 6 days of painting and inspiration. We will be based in the village of Desa Buwit, only 20 minutes from Canggu. Note, Friday 5 April will be dedicated to checking in and meeting each other. 7 nights accommodation in our private venue. All rooms are single share with air-conditioning. Daily breakfast, morning tea and lunch and 4 dinners. We will share with you the best of Bali's incredible food scene. 4 days of painting acrylic abstracts on canvas under the guidance of Laura. 2 days of inspiration gathering with excursions to attractions including water temple & monkey forest. Daily opportunities with Laura & Doulene to sketch and create smaller watercolour and mixed media pieces. Q&As, business brainstorming and one-on-one coaching with Laura & Doulene. Artist bag filled with gorgeous goodies including your own apron, a personalised sketchbook and 'on-the-go' art supplies. Easel, canvases, tools and a selection of paints and mixed media supplies. Payment in full at time of application acceptance will attract a $300 AUD discount.